The new year is almost upon us, and we all know what that means. Resolutions will be made, gym memberships will be bought, and detoxes will become the diet of choice. It is officially that time of year when society throws itself head first into health and fitness. Sadly, the goals that are set with such good intentions don’t often make it past January. So how can we change that? What can we do differently in 2017? 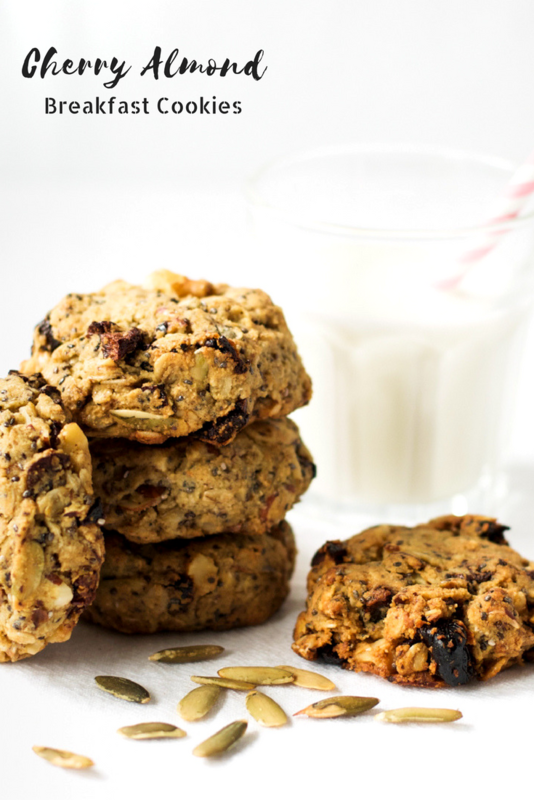 These cherry almond breakfast cookies have the answer. I know, weird connection, but read on and you’ll find out why. 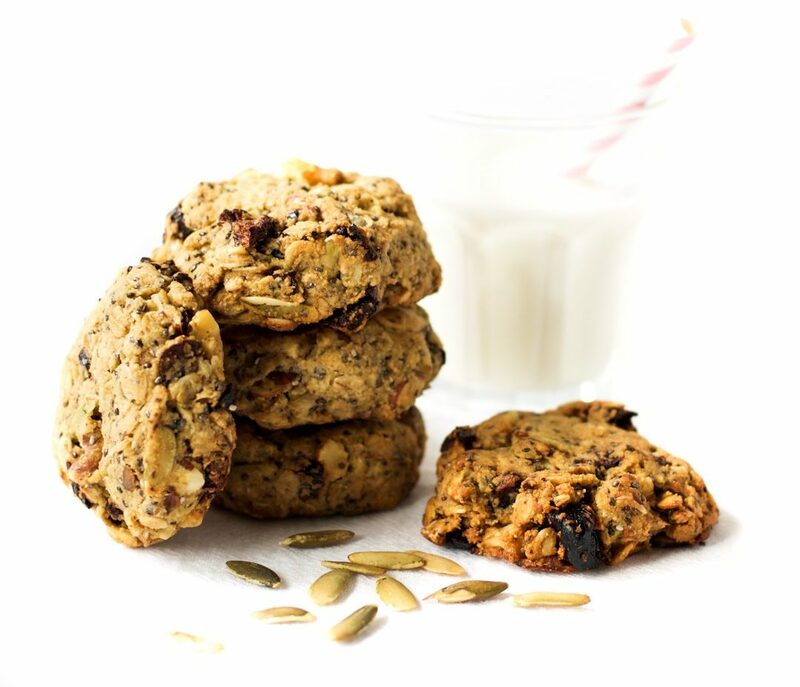 These cherry almond breakfast cookies are the perfect combination of decadent sweetness with nutritious oats, nuts, and seeds. But what do they have to do with making our resolutions stick this year? The answer is balance. Just as these cookies provide the perfect balance between decadence and nutrition, so our goals should also provide balance. When we are too extreme in our resolutions, we set ourselves up for failure. If we can find balance, we are far more likely to succeed, and to maintain our sanity. Instead of thinking of health and fitness as ‘all or nothing’, I prefer to think of it as ‘every little counts‘. Every step you can take towards being healthier, no matter how small, is worth taking. And if you need a few cookies on the way, that is absolutely fine. Happy New Year my friends. Let’s make it the best yet. 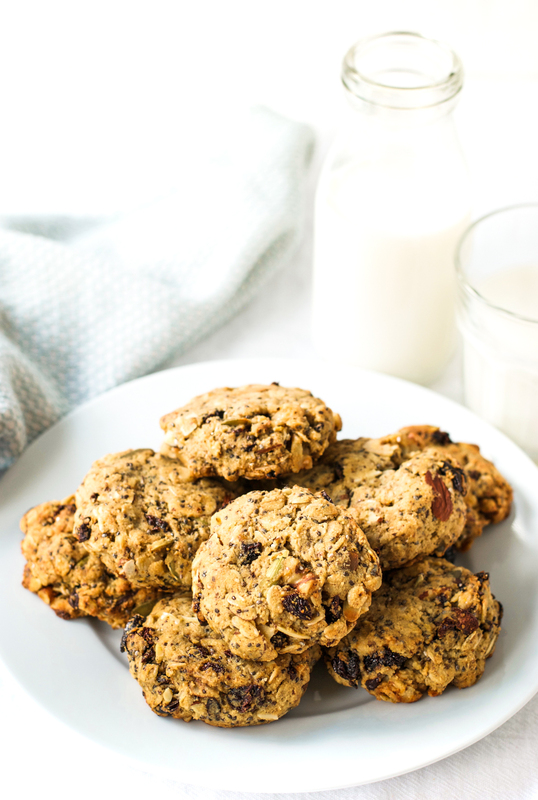 These vegan, gluten free cherry almond breakfast cookies are filled with protein and healthy fats for a satisfying breakfast on the go. In a small bowl combine the flax seed and water, and set aside for a few minutes until it has thickened slightly. In a large bowl combine the almond flour, oats, almonds, walnuts, pumpkin seeds, baking soda, chia seeds, and salt, and stir well. In a medium sized bowl, whisk together the coconut oil, maple syrup, almond extract, and flax seed mixture. Pour the wet ingredients into the dry and combine well. Drop heaped tablespoons of the cookie dough onto the parchment paper about 2 inches apart. 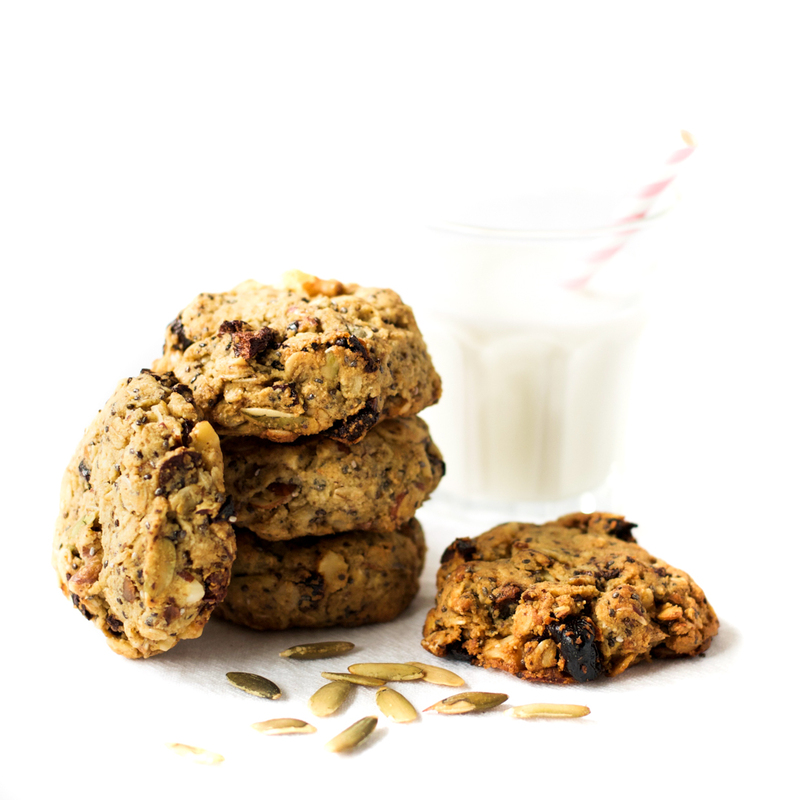 With wet hands, press them into a cookie shape – they won’t spread much. Bake for 17-20 minutes, or until golden brown at the edges. Remove from the oven and leave to cool on the baking tray for 5 minutes before transferring to a cooling rack.